The olive oil market is a market with many fluctuations. Like any good, its price is regulated by the supply and demand of it and this is very determined by the production of each year, which likewise depends in excess of a variable that cannot be controlled: the climatology. Oil is a product that varies a lot in terms of price and for this reason we often find outstanding offers at the points of sale. That´s why it is important to know, what we are buying, since the real extra virgin although it suffers from sharp fluctuations, they always have a minimum price. 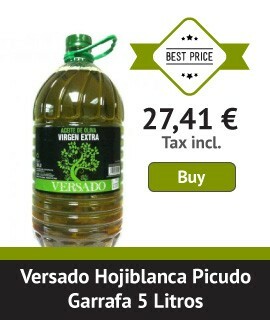 The truth is that nobody sells extra virgin olive oil for the price of sunflower oil. It is very important to distinguish the refined olive oils, known as 0.4º and 1º, virgin and extra virgin, as unfortunately we are confused many times when calling all "olive oil" when they have nothing, but nothing to do with it. Thanks to the free market and especially to the amazing evolution of the internet today it is easy to find great discounts and offers on different websites that help us to acquire a quality product at great prices. But it is important to always make sure that what we are buying is the authentic extra virgin. 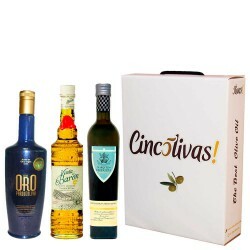 In Cincolivas, you can find the best oils in the world with great discounts and offers. The specialization of the web only in extra virgin olive oils makes that our website has great knowledge and is well valued by our clients. In addition, we offer customer advice and personalized after-sales service. Our website is recommended by a large number of experts. When we talk about buying cheap olive oil we are referring especially to oils that have an excellent value for money. The word "cheap" is very subjective and can not be understood in all contexts and products in the same way. This is the case of olive oils. An olive oil can be found at a better price, reduced or on offer, but certainly the most important will be quality. Wholesale purchases: It is clear that when you buy a larger quantity you can always find discounts on the product. In the extra virgin the same thing happens. The greater the quantity purchased, the greater the discount that the supplier will surely make for you. They are usually scaled discounts depending on the different amounts. Packaging of greater capacity: A way to save when we buy olive oil, is to buy it in larger containers, in large formats such as cans or cans of 5 liters that are usually cheaper than small formats. Take advantage of punctual discounts: Almost all shops offer punctual discounts on their oils to promote brands, give out excess stock or simply try to sell more. In this aspect you have to be very aware of these offers because they tend to be fast and of short duration. Buy in period of Sale: There are very specific periods that all stores take advantage of to offer their products at discounted prices: sales of January and June, black Friday, cyber Monday, the day of oil, the days without VAT ... oils are found with important discounts and excellent quality. What is the best value for money for olive oil? Within this question we must first clarify the category to which we refer. Undoubtedly, the best olive oil is extra virgin olive oil, since it is about authentic olive juices whose proven benefits for health are such that it is one of the most essential foods of our daily diet. These extra virgin oils are the best value for money and certainly represent savings for our pockets and a source of benefits for our health where money matters little. 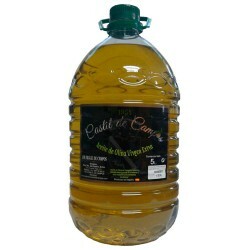 In Cincolivas you can find the best variety of extra virgin olive oils at the best prices. Oils for cooking, gourmet oils, for pairings, the most awarded, the best sellers ... at really good prices and with outstanding promotions from which you can benefit yourself. 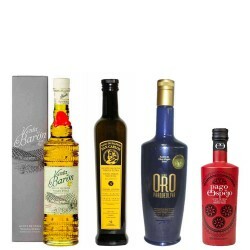 It is important to highlight the section of offers that the website has, where you will always find olive oils of all formats at discounted prices. In this section the reduced products are modified every month to add new oils or improve offers. Certainly, you have to enter this section. Permanent promotions and temporary free shipping costs. Shipping costs are always free from a minimum order, both in Spain and the rest of European countries. In addition, temporary offers of free shipping costs are made without the need for a minimum order every 2 or 3 months. They are super promotions that together with the discounts of the product make the purchase of oils a lot cheaper. Discount coupons: loyalty coupons, wholesalers, tracking friends blogs ... offer discount percentages on products just to fulfill the simple requirements of each of them. It is worth taking advantage of all these promotions, offers and discounts to buy the best oils on the market. Quality and price do not have to be close and that in Cincolivas we know very well. Dont miss the chance!! !